For the next five weeks, every Wednesday, I'm going to share with you some of my favourite blogs according to five different categories. They include, Family Lifestyle (this weeks), Beauty, Parenting, Lifestyle (non-"family" bloggers), Home Decor. You may think the categories are similar, and yes some may crossover, but these are the type of categories I tend to read on a regular basis. So Family Lifestyle, are my main "go to reads". 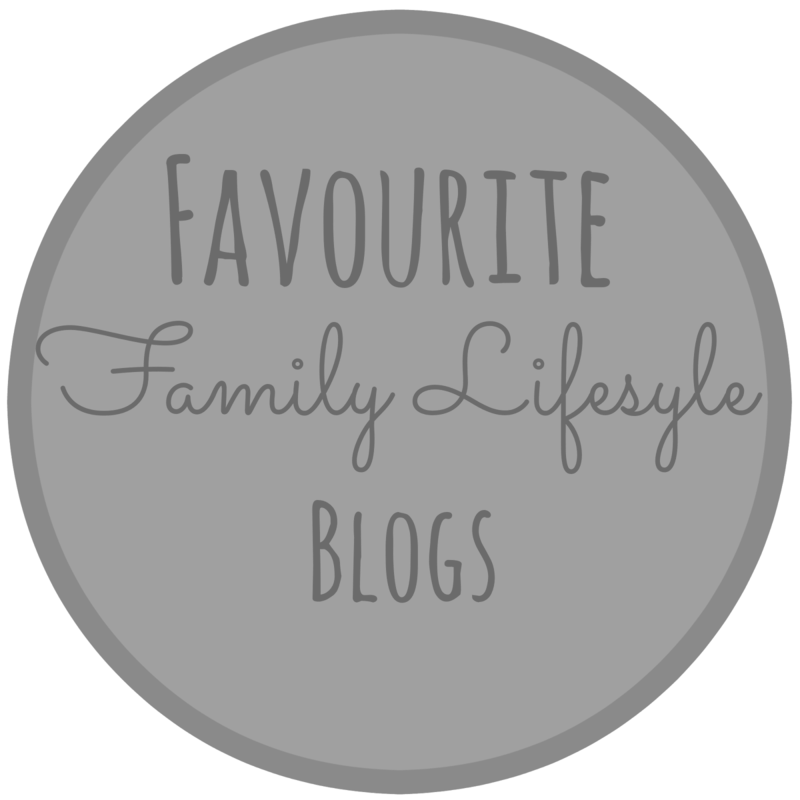 They tend to be quite general and not so "Parenting" heavy, whilst I read many blogs which are mainly related solely to parenting and child activities, I find the lifestyle blog much nicer to read as they are a lot more personal. Alex from Bump to Baby is mum to the gorgeous Ethan, her blog follows her journey as a mum, giving little insights to her life whilst creating some really interesting and informative reads. Alex has more recently got into YouTube, which is another nice element to her blog, letting her readers learn a little bit more about her. I have followed her now since she was pregnant, which is the first time I can say I have followed a "mummy blogger" from pregnancy right through to Ethan's first birthday and beyond - I think thats a testament to just how good her blog is! Kerry from Oh So Amelia is mum to the beautiful Amelia who is roughly the same age as Darcie. I love this blog because of Kerry's writing style, her posts are always very informative, but are never dull! Plus I really love her photography too. Kerry is now expecting baby number two, a little boy, and it has been lovely to read her pregnancy posts. Can't wait to "meet" the little guy and see Amelia as a big sister! First of all, I love the name of this blog! Hayley, mum to Tyne is the brains behind Sparkles & Stretchmarks. Hayley is a fantastic writer and generally such a lovely person, one that I'm starting to learn more and more about through chatting through Facebook. Hayley's posts are always so well written and she is someone I really look up to in the blogging community. Lived with Love is written by the lovely Kerry, mum to the little cutie Sienna. Kerry is also expecting her second child and its lovely to be able to share their excitement with them. Kerry also has a YouTube channel which she posts regularly on (I don't know how she does it all, what's your secret?!) which I really enjoy! Kerry, as with all the other bloggers I have mentioned, are generally lovely people in the blogging community, who are always happy to offer help and advise.